Squeaky Books: Best of 2010 Answers & Winner! The one that was the most commonly missed was #10. I tried to warn y'all about that one. That is the UK cover of The Dark and Hollow Places. I featured it back in July. 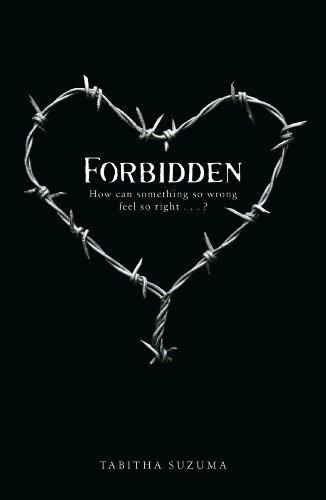 Many people thought it was Forbidden by Tabitha Suzuma, for obvious reasons. The next one most missed was #8 Human .4, followed closely by #2 Beautiful Days. I think I picked a really tricky peice of Beautiful Days, and not many people have heard of Human .4. Congrats, Alison! I have e-mailed you! You have 48 hours to respond with your picks. What an awesome prize to win! Congrats! Fun contest. Congrats to the winner. Yay! That contest was so darn difficult I didn't even try! But I was anxiously awaiting the big reveal :) Thanks for getting so creative and making the contest world more fun! I'm just proud to have gotten them all, it was the first time for me in one of these contests! Wow, I only got about half of those xD But thank you for choosing me as the winner!